The Big “M” Casino Ships in Myrtle Beach Offer Day and Evening Cruises with Las Vegas Style Gaming! Are you looking for an amazing way to spend a day or evening? How does a day or evening gambling cruise sound? Ready to make some unforgettable memories? Sometimes we postpone the opportunity to have FUN. Yes, some real FUN!!! We find ourselves in a rut doing the same things over and over, and not getting any satisfaction in return. STOP – Let’s change that right now! Fort Myers Beach Attraction – Ready for Your 6 Hour Fun Cruise on The Big “M” Casino Cruise Ship? Are you looking for a fun way to spend the day or evening? Do you like Vegas but can’t afford a trip right now? Here’s the next best thing – join us on The Big “M” Casino cruise with our Vegas styling gambling! It’s a fun Fort Myers Beach attraction! The Big “M” Casino sails year around, departing from the Moss Marine, offering both AM and PM cruises on our luxurious 162’ gambling ship! In addition to gambling we also offer our superb buffets, bingo (on the AM cruise), and awesome entertainment (on Friday and Saturday PM cruises). Time to Brush Up on Your Casino Craps Etiquette? Interested in joining in on one of the most exciting games in the casino? Not sure you know the proper etiquette of Casino Craps? Or perhaps you have played it before, but you’re feeling a bit rusty. Myrtle Beach Casino Cruise – Offers Holiday Fun! Do you like the thrill of rolling the dice or maybe you just need to get away for a day? Well you can enjoy cruising the open seas while you gamble! There is something on board the Big “M” Casino Cruise for everyone! If you haven’t played Craps on our Fort Myers Beach Casino Cruise or our Myrtle Beach Casino Cruise yet, we would like to cordially invite you to come experience the excitement, first hand! There is a reason why people flock to this table and it’s because the game is so much fun…it’s almost contagious. When you see our guests cheering with glee, we know that you’ll want to become part of the action. If you don’t know how to play craps, that’s perfectly fine. We’ll teach you step by step after the break. Or if you’d like a convenient eBook to read at your own leisure, click on either one of the FREE eBooks above! 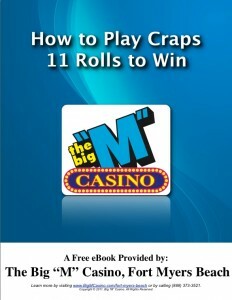 This is the 11th tip in our eBook How to Play Craps – 11 Rolls to Win. If you want to be a high roller it’s best to learn the lingo. 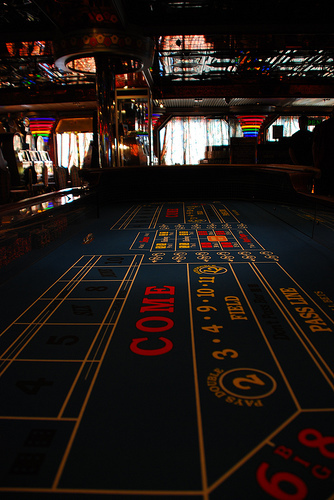 This post will cover craps lingo from A – Z. If you read and understand the following casino craps lingo, you will definitely improve your confidence at the craps table! #10 – Casino Craps, Las Vegas Craps and More! Learn How to Play Them All! 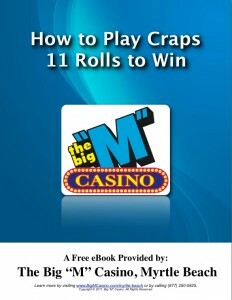 This is the 10th tip in our eBook How to Play Craps – 11 Rolls to Win. 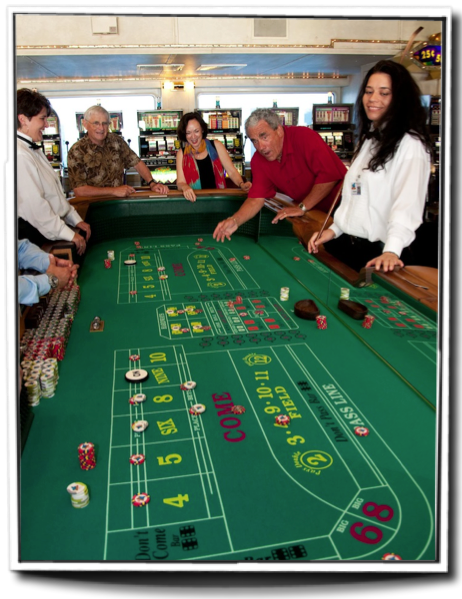 Las Vegas Craps…it’s all in the name! 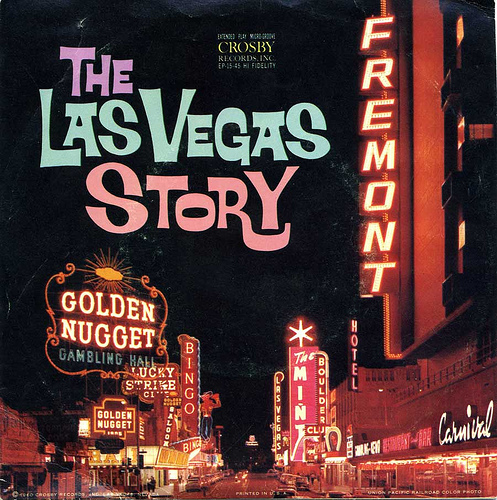 How can you not have fun when you play the game named after the fabulous city of Las Vegas! 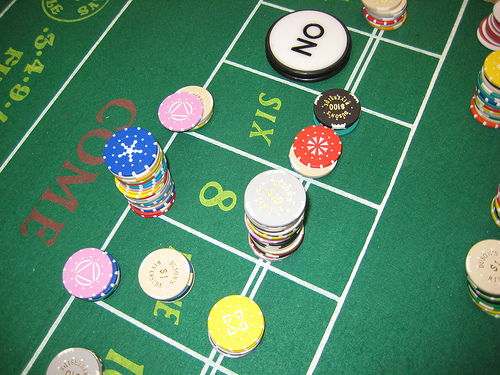 Las Vegas Craps, also called Bank Craps is popular in Nevada casinos. This variation has a special table layout and has a string-like wire that is stretched a few inches from the table’s surface. The dice must be thrown over the wire or string. When betting in Las Vegas Craps, all bets must be made against the house. It’s important to know that the house edge is appoximately 1.4%. #9 – Craps Strategies and Betting Systems: What’s My Best Bet? 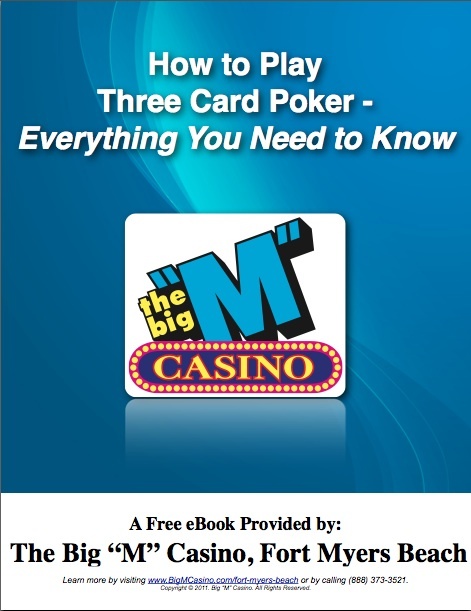 This is the 9th tip in our eBook How to Play Craps – 11 Rolls to Win. Your best bet when it comes to craps is the one with the smallest house advantage. Some people believe in craps strategies and betting systems to gain advantages. However, no system or craps strategies can be consistent in a game of pure chance…some players still believe it gives them an edge. Try them out for yourself! #8 – What Are My Odds in Craps? 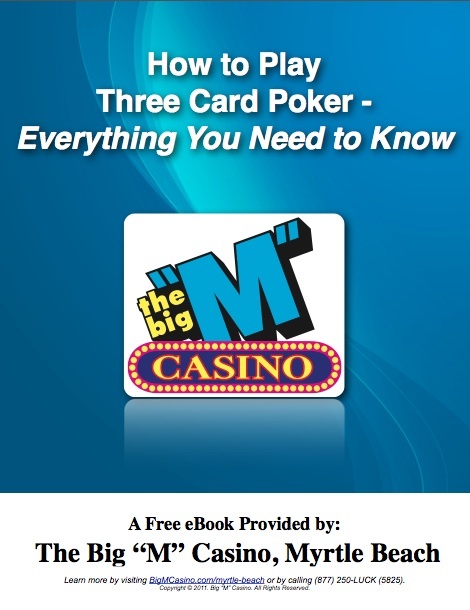 This is the 8th tip in our eBook How to Play Craps – 11 Rolls to Win. 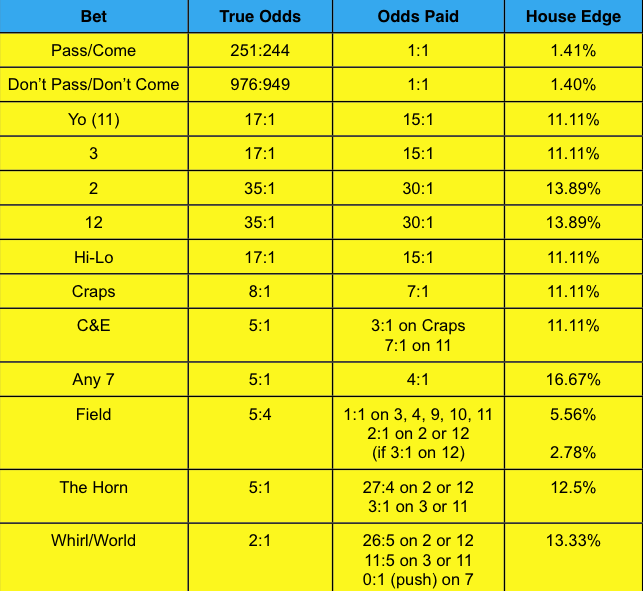 Here is a helpful chart of popular bets, payouts and odds in craps. You can increase your chances and odds in craps with an additional bet known as the odds bet. An odds bet is placed behind your original pass line bet on the craps table layout. When a shooter makes his point, no only are you paid even money for your pass line bet, but you are also paid true odds for your odds bet.